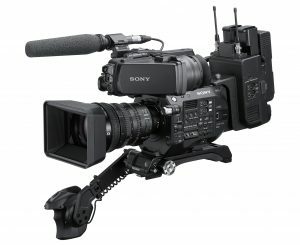 LAS VEGAS — April 7, 2019 — Sony’s popular PXW-FS7 and PXW-FS7M2 XDCAM camcorders are now further optimized for news gathering thanks to a new ENG-style build-up kit and a new B4 lens to E mount adapter. The build-up kit, CBK-FS7BK, enables extended shoulder mount usage, making the camcorders ideal for news production, interviews, documentaries and reality television shooting. Combined with a new lens mount adapter, the LA-EB1, not only E mount but also B4 lens assets can be used on an FS7 or FS7 II, allowing users to capture images with deep and shallow DoF – all with a single camera.